Top-Quality Hydraulic Hoses at Low Prices. We fabricate your new hose in minutes. Bring us your leaking old hydraulic hose and in a few minutes we'll fabricate a brand-new replacement hydraulic hose for you. That's how we repair our own forklifts. Now you can enjoy the same savings. 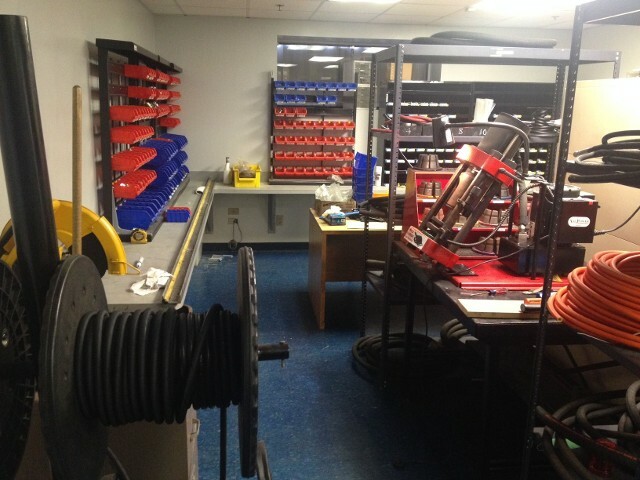 Each hose is assembled in our clean modern hose assembly room at our Pompano Beach forklift repair center. We use all new materials, the latest assembly equipment, and trained assembly personnel, so each hose carries a full guarantee.